So I just recently bought a 1990 cbr1000f for $900, then I spent a couple grand moving from seattle to albuquerque, new mexico. 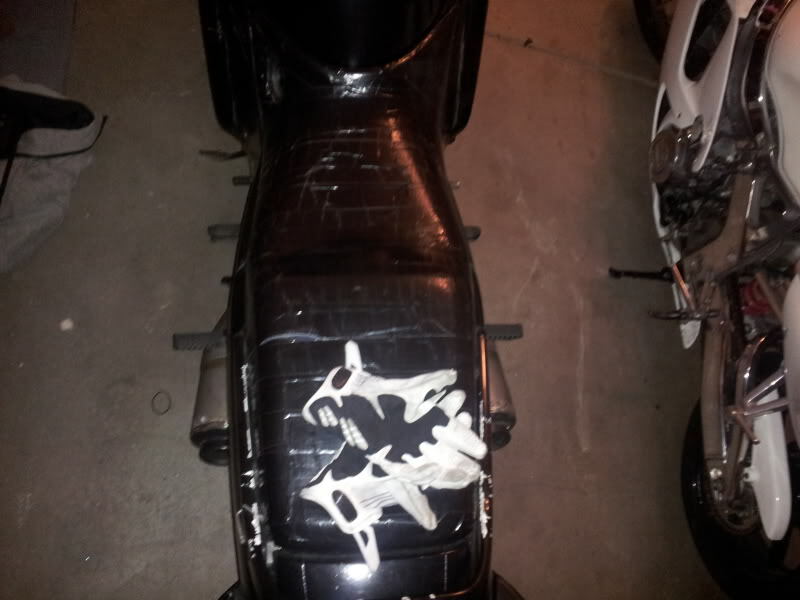 With my savings account depleted, and now living in a state where nobody knows how to drive, I wanted to make my bike more "visible" to the blind drivers all around me. I didnt want to spend a few hundred on an aftermarket exhaust set, so I figured I would just modify the ones I already had. I started by pulling off my exhausts from the header. It was more of a pain than I could ever have imagined, I dont think the exhausts had ever been removed, and they were stuck on there. I used a serious amount of wd-40 and chain lube to free them up enough to pull them off. 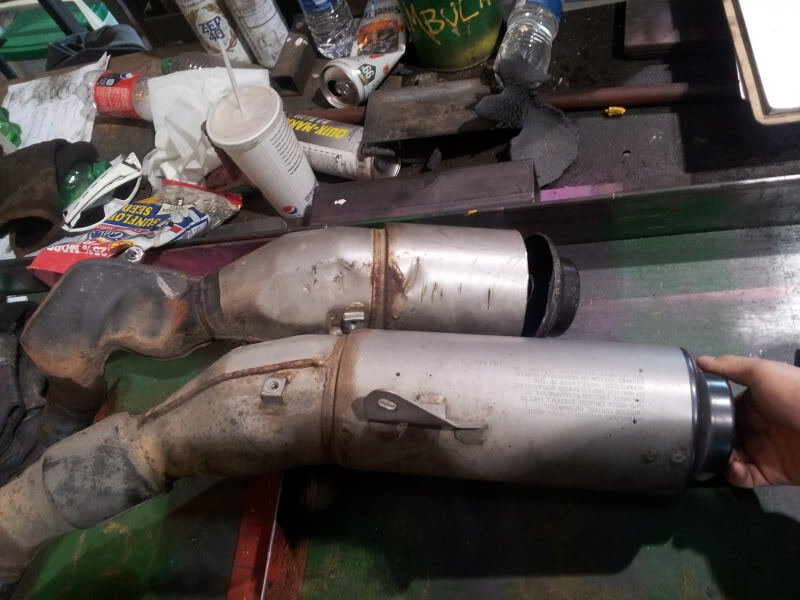 If you dont know the steps required to take off exhausts, you can message me privately and I will give you more instruction, but it is rather simple, so I am sure if you dont already know, you can figure it out. I measured 5 1/2 inches from the tip, just at where the exhaust mount is on the can, and I cut. 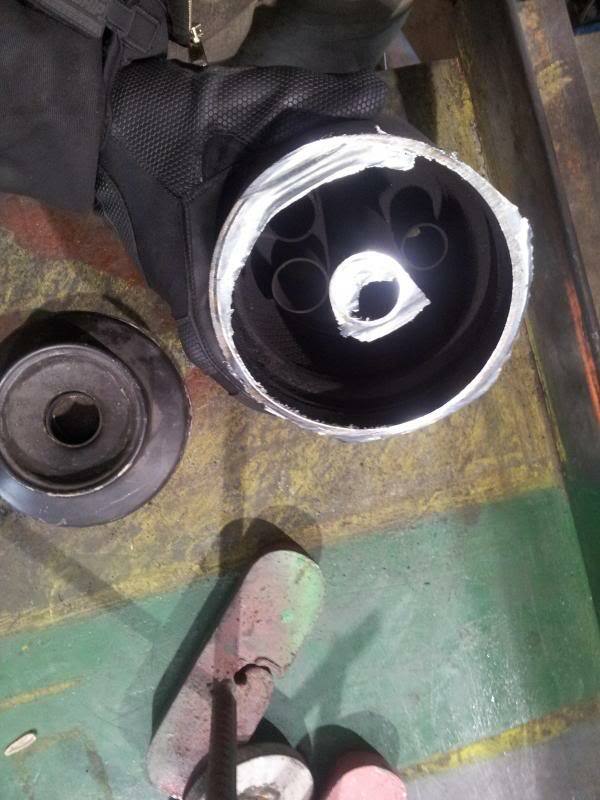 There are baffles inside our exhaust cans that send exhaust back and forth through chambers in the exhaust can before they finally escape through the end of the cans, these baffles silence our bikes, and they create resistance that robs our bikes of power it could use elsewhere. So after I made the first cut relatively in the middle of the can, I put the blade just inside the tip, and cut that off as well. 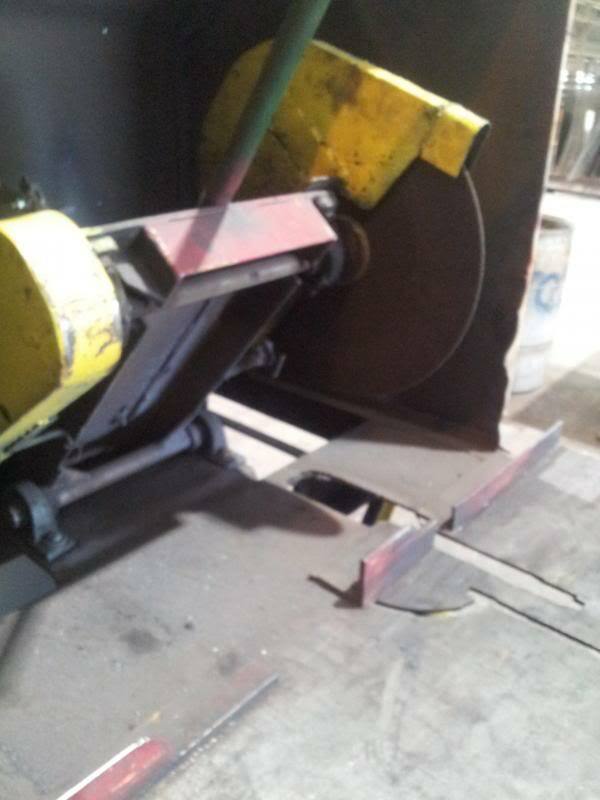 So, two cuts per side, this is what you are left with. So here comes the part that makes this all awesome. I tossed the middle section I had just cut out, along with the baffles inside it, and the plan is to weld the tip back on to the exhaust. 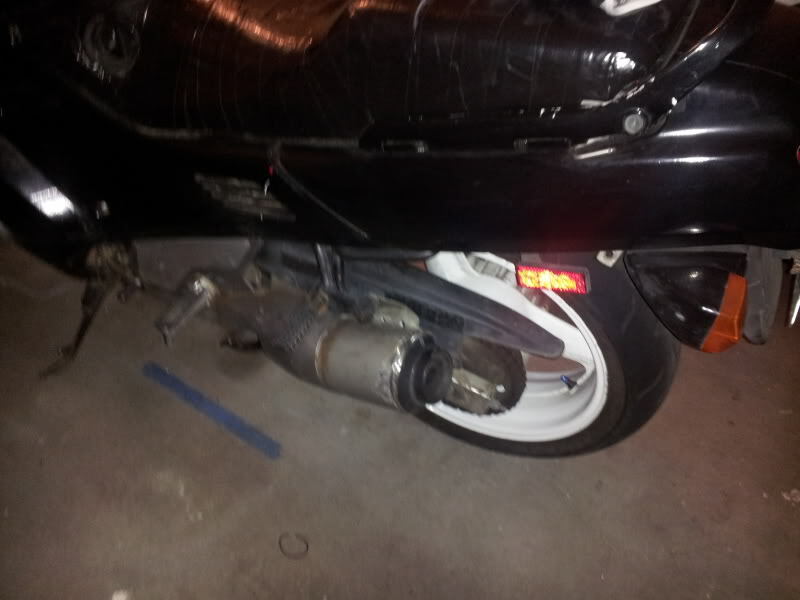 I brought the tip and the exhaust over to our welders, and had them weld the tips back on. 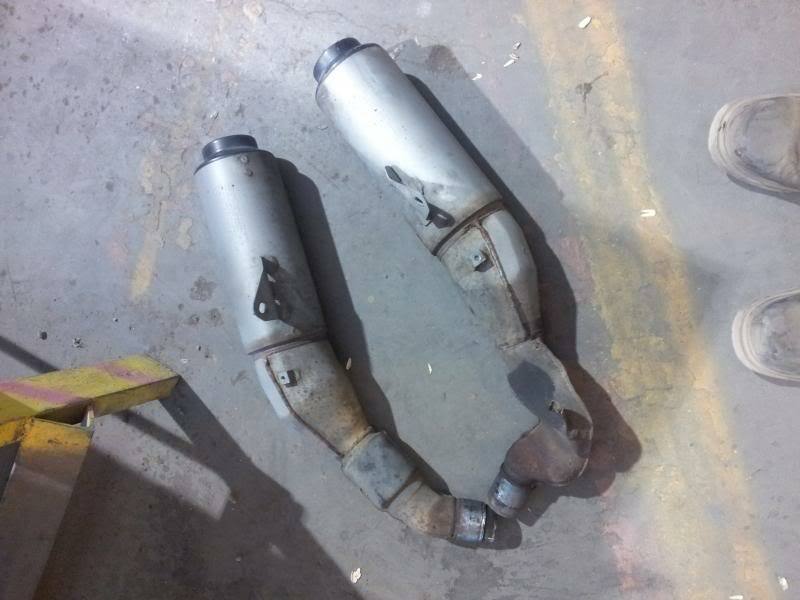 If you dont have access to a welder yourself, you can bring these pieces to any muffler shop or most mechanic shops, and pay them cash to do it for you, usually anywhere from $20 to $40 bucks in my experience. A couple things to note, there will still be two pipes in the can coming out of the bottom chamber, that will open up into the top chamber that you just created, and it will go out the tip. One transition of air, not three. 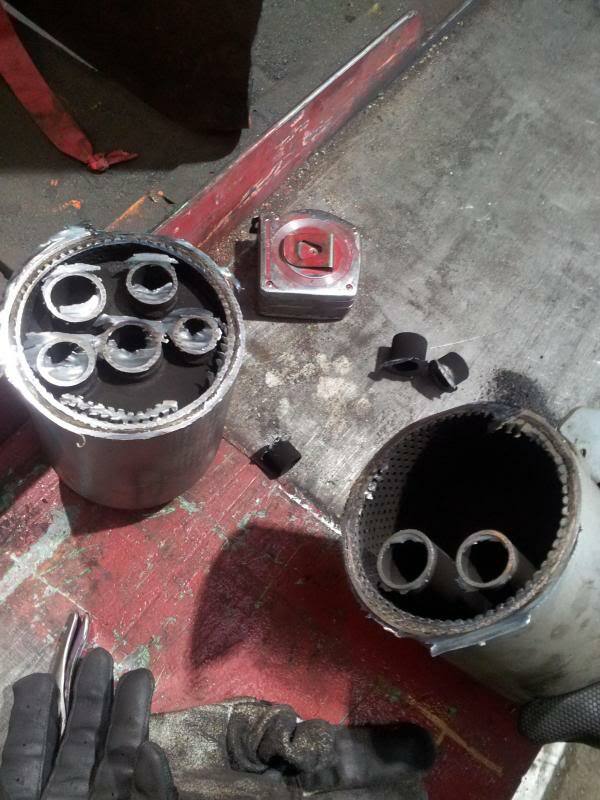 The metal is very thin, so make sure your welder is set appropriately otherwise you will burn through it, and there is a thin layer of insulation inside the can that smells pretty bad. If you have any further questions, feel free to ask and I will try my best to be as descriptive as possible. This made my bike sound MEAN, I love it, it has a deep rumble at idle, and when you get on it, it sounds like a pissed off hive of wasps, almost like an rx-7. I also noticed a huge power difference, and I expect to get better gas mileage with this mod as well since my engine wont have to PUSH my exhaust out. Not sure I'll be doing the chop, but it sure looks meaner than an ex-wife! 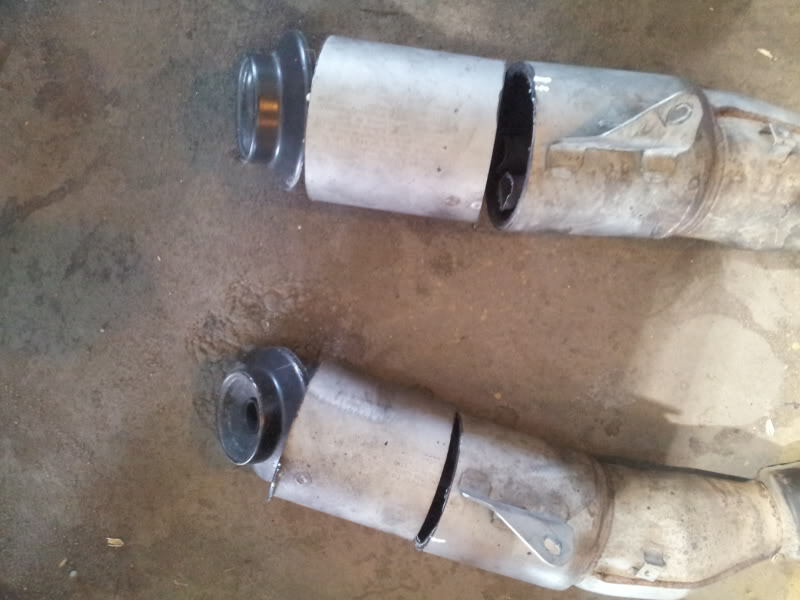 Quick Reply: turn your stock exhaust into stubby screamers!! !